This poem by Paul Perro is about the history of vikings - those misunderstood Norsemen who made such an impression on the world in the middle ages. Here you will learn about the lives of Vikings, the famous warriors and explorers, and their religions and mythology. 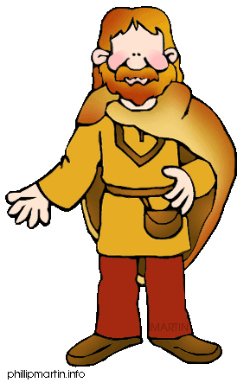 Find out about Eric the Red and Ragnar Hairy Breeches; as well as Odin, Thor, and Valhalla. 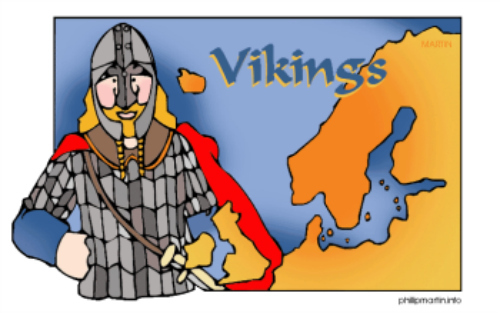 After you have enjoyed the poem, please scroll down a little further to find out more facts about the Vikings so that you can hopefully answer any questions your child has. But we think of them still today. And there were farmers and traders. In longships made of wood. And steal everything they could. One famous viking was Ragnar Hairy Breeches. He once raided Paris, in France. But what a silly name! Who'd want to be called hairy pants? Found a place that was windy and freezing. Would make it seem rather more pleasing. He captained a longship with 35 men. He sailed to America and back again. Were warriors, men of valor. Is he rode an 8-legged horse. And Loki, with his lies and deceit. Let's say goodbye to the Vikings. The Vikings (or "Norsemen") were people who lived in Denmark, Norway and Sweden more than 1000 years ago. The rich men were called Jarls and their slaves were called thralls. There were also kings who ruled over large areas of land. However most Vikings were farmers, fishermen or traders. Most Vikings lived in the countryside, but there were a few big towns. These were crowded and noisy, with animals everywhere. Vikings believed in many gods and goddesses, who lived in a world above them called Asgard. They believed a rainbow bridge connected the two worlds. 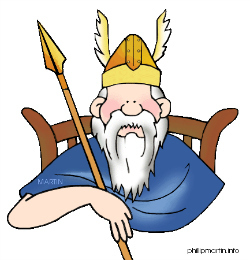 The king of their gods was Odin (sometimes he was called Wodin). Odin's son was Thor, the god of thunder, who carried a magic hammer. Two days of the week, Wednesday and Thursday, are named after Odin and Thor. Vikings were good sailors. 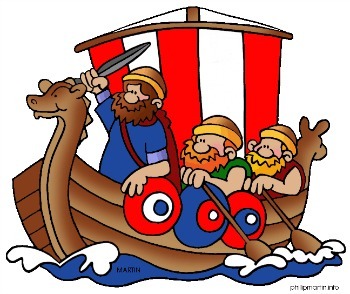 They built big boats called longships, which had a sail and lots of oars. Sometimes these ships were called dragon-ships because they often had a dragon's head carved at the front to scare their enemies. 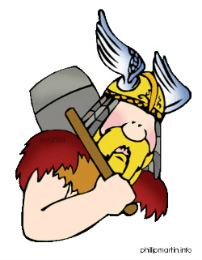 Viking raiders made many attacks on England, killing people and stealing things. Over a hundred years later, the weak English king Ethelred tried to kill all the Vikings in England, but he only provoked other Vikings, and was forced to run away. In his place, England had a Viking king, Canute. Viking rule ended in 1066, when Canute's son, King Harold, lost his crown to the French invaders led by William the Conquerer. However, these invaders (the Normans) were actually descended from Vikings themselves!